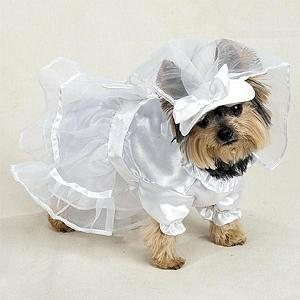 Dress your Pup in this very pretty Dog Bride Costume for many different occasions. Velcro closure for easy on and off secure fit. Whether you're getting married and want to include your pup or just wanna have some Halloween fun your dog will look so pretty is this Bride Costume.